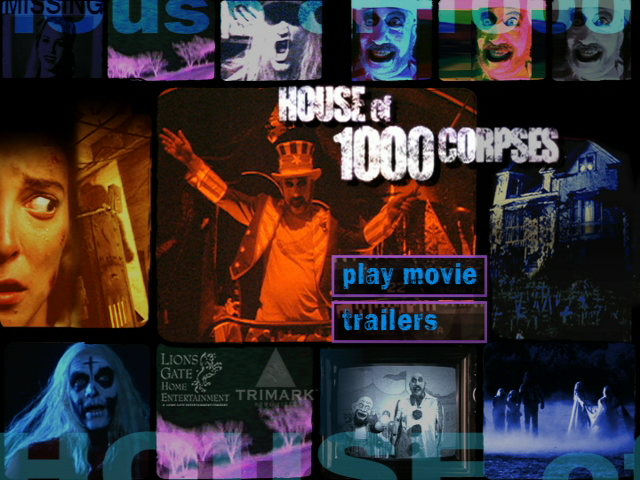 Went on another day trip before Irene plunges the Eastern seaboard into a toilet paper and milk Apocalypse and snagged this screener disc of Rob Zombie's House of 1000 Corpses for three bucks at an old guy's yard sale on the way. I was so jacked at the find I nearly turned around right then. Well, not really, but it was very unexpected and couldn't wait to see if there were any differences with the retail disc. Differences are there but they're subtle. The 1.85:1 widescreen transfer is anamorphically enhanced with an intermittent no rental or sale warning. Interestingly, the matting is slightly thicker on the final release compared to this screener which has picture tight to the borders. So there's a sliver more picture on the top and bottom of the pre-release. 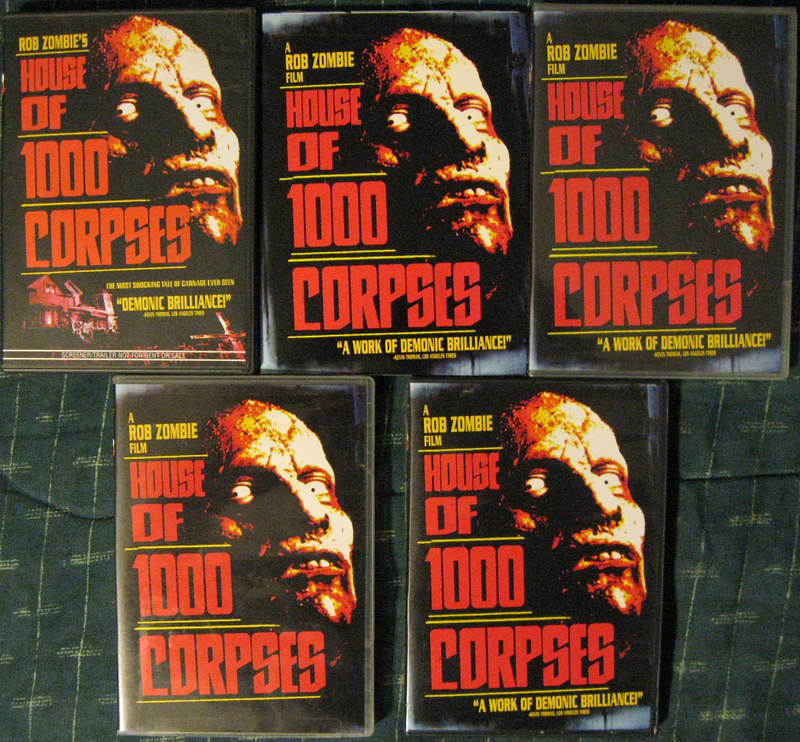 The screener is also a touch darker. Haven't figured why yet, but the screener is seven seconds longer as well (1:28:07 vs. 1:28:00). 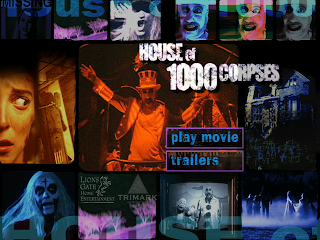 The audio is limited to English Dolby 2.0 with twenty minutes of trailers including a slightly different home video version of Ho1kC's theatrical trailer. 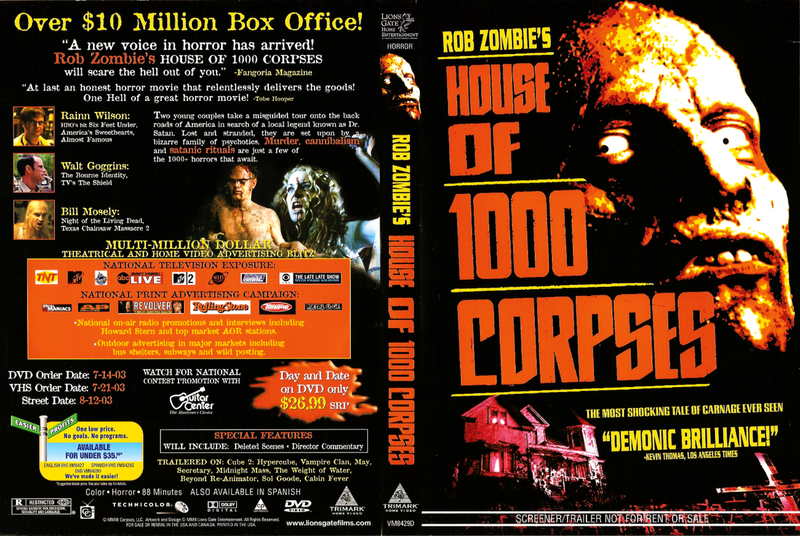 The single-layer disc itself has no art looking like a double-sided DVD.